The new year is a great time to set financial goals. However, it is not uncommon to burn out and revert to old habits. These goals are designed to be reached quickly and still help you to positively change your finances. You should be able to complete these goals within the first month. 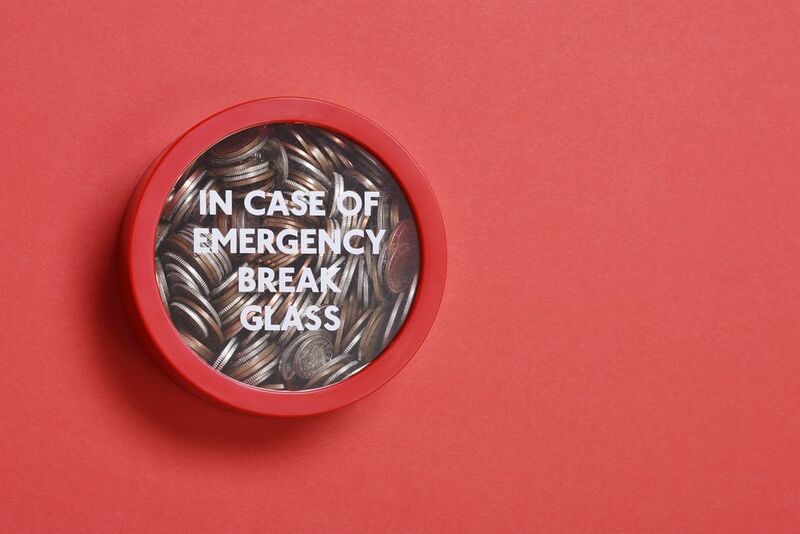 One of the first steps of taking control of your personal finances is to have money set aside for emergencies. A good starting amount is $1,000. You may be surprised at how quickly you can save that money. Try strategies that include saving bonuses or a tax return. You can cut back on fun money for the month to put toward the amount, sell some items online or work as a temp for after holiday sales. The money should add up quickly and then you have an emergency fund in place. In reality, setting up your budget really should not take up much time. Even if you do not end up sticking to it each month, learning how much you make, what you spend and how the two compare can help you start making better financial decisions each week. A budget is your spending plan for the month, but it can also help you identify areas where you need to focus, and just creating one can help you bring an awareness to your finances that you did not have before. Late payments can be expensive. Late fees can add up quickly and it can be difficult to catch up and get ahead when you have fallen behind. Make it a goal to catch up now, and you will be better off in the future. You can find extra money by working an extra job or selling some things. You may also be able to contact the companies and see if they will set up a payment plan for you to get caught up over a few months, which may make the process more manageable. If you are making good faith payments the companies are less likely to report you to collections. It can seem overwhelming to think about paying off all of your debt. This usually takes months or years. Instead just choose one thing to pay off quickly. Look at your smallest monthly payments and see what you can do to pay at least one off this month. If you have a store credit card with a low balance, or you owe monthly payments to a hospital, you may be able to clear those up fairly easily. You can take that money and apply it toward building an emergency fund or to other debt, but you will have improved your situation just by clearing out a few small debts. Try finding ways to reduce the amount you pay each month on at least three bills. An easy place to start is with your cable bill. Consider cutting the cord and moving to a service that you can stream online. There are options that cost a significant amount less than cable or satellite and most do not have monthly contract options. Another bill that you may consider changing is cell phone plan providers. Shop around for the best plans and deals. If you are currently locked into a contract, there may be a deal where the new company will buy out your contact. Find ways to cut usage on your electricity or water bill as a way to save money. Setting up a meeting with a financial planner should not take too long. Once you have the meeting, you should have a better idea of what type of goals you need to set and strategies to help you start investing. It can be helpful to meet with your financial planner or adviser once a year to check on your portfolio and to see if you need to change your financial plan as your life goals change and evolve. One easy goal is to start saving for retirement if you have not already. Contact your human resources representative to learn what you need to do to start contributing to your 401(k). Start by contributing up to your employer’s match and then you can work on increasing it each year. If you do not qualify for a retirement plan, consider opening up an IRA and start saving for retirement there. A spending fast is when you stop spending money except for essentials like grocery and gas for a set period of time. A spending fast can be really helpful if you are trying to break old shopping habits or you want to raise money for an emergency fund quickly. Simply choose how long you want to go on the fast for, usually at least one month, and then stop spending. You can get creative and find free activities to do or spend time at home. Many people choose February as the month to complete spending fast​ since it is a bit shorter, but it can be done at any time. One important thing to do each year is an insurance check-up. The first part of this makes sure you have adequate insurance coverage. Your situation may have changed over the last year, and so your insurance needs may have changed too. If you got married or had a baby, you should look into adding life insurance. Car and home insurance tend to go up each year even if you do not have any claims. You may be able to find better rates by switching companies. Take the time to shop around and see if you can save money this year. One easy goal is to stop using your credit cards completely. This allows you to pay off your debt and start moving forward with your finances. Even if all you do is stop impulse purchases on your cards this year, you will be better off at the end of the year. Consider leaving your credit cards at home. If it is too much of a temptation even then, freezing them in a block of ice really can help you curb impulse purchases and think about what you are spending and when. You may also want to delete stored card information at your favorite online stores, so you have to stop and think before you make the purchase.